I used to dream Alex did not have down syndrome, or that a magical organism was developed that ate the 47th chromosome in each of Alex’s cells. Although dream is a bit of a misnomer, it can also be called insomnia. I haven’t had that dream in over 16 years now, it really only lasted for a couple of months after Alex’s birth. I love Alex just the way she is, and wouldn’t change anything about her. What I would change is the rest of the world and the opportunities that are available and those that are not. Most of this is directly related to funding, or the lack thereof. This is also relatively easy, organizations such as National Association for Down Syndrome (NADS) are in the schools working with teachers to help understand down syndrome and down syndrome related learning strategies. I would like to fund a program in rural Colorado. This could also be an easy one for me. 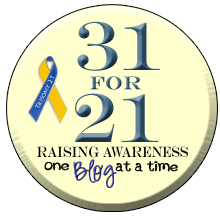 There a number of organizations, for profit and not for profit that research down syndrome related topics. 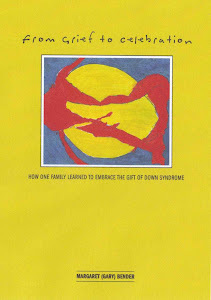 I was recently introduced to an organization called Research Down Syndrome. This is a non-profit foundation which funds Down syndrome cognitive research at leading international institutions. It was founded by a couple of very dedicated folks; a scientist and a parent who are passionate about research. Their website researchds.org has a lot of great information, which I will be “borrowing” when I introduce my newest series – “The Science of It All”. Funding this would be one stop shopping for me, always a positive for a very busy Executive Director of a new foundation. I do not know too much about this subject yet. I have begun to research adult living communities specifically for the disabled. I believe Alex can live independently, but I do not believe her social needs will be met in a totally independent environment. I am also not convinced she would be safe. I know there are lots of models to look at, and I will be sharing these in my “It's my life" series. When I find the model, or hybrid I like, I will fund the creation of this community in the Aspen area. Perhaps I should sleep more - but I just don't think that will happen anytime soon. There is too much work to be done, and too many ideas still circulating through-out my sleepless nights. I believe that Alex is in our family for many reasons. There are two at my top of mind; one she brings immense joy to us and our extended family and friends, and two she teaches us to make a difference in the world. I strive to realize the second purpose. Anyone want to join me? Kayla's only five, but I'm hoping to get her into this place that is only 20 minutes from us, in Sullivan County, NY The Center for Discovery Kayla is currently going to the school there, so I'm hoping that they will be able to transition her to their adult or residential program when she turns 21. I like the work that the residents do, it strikes me as more meaningful and purposeful than just sitting in a DayHab all day doing worthless arts and crafts. Although Jessie's just 8, we've had opportunity to meet a lot of families who have older children with DS. We've talked about how wonderful it would be to have an adult community like you mentioned. Unless she marries, I picture Jessie continuing to live with us, or her older brother or sister, they've already discussed that! I think there are many who want some more independence, but need safety and some assistance. Not everyone has siblings or desires to continue to live at home. We discussed that amongst a few of us...as a project for the future...but decided for now not something we can follow up on.